Eryilmaz, T., Arslan, M., Yesilyurt, M. K., & Taner, A. (2016). Comparison of empirical equations and artificial neural network results in terms of kinematic viscosity prediction of fuels based on hazelnut oil methyl ester. Environmental Progress & Sustainable Energy, 35(6), 1827-1841. Eryilmaz, T., Yesilyurt, M. K., Cesur, C., & Gokdogan, O. (2016). Biodiesel production potential from oil seeds in Turkey. Renewable and Sustainable Energy Reviews, 58, 842-851. Eryilmaz, T., & Yesilyurt, M. K. (2016). Influence of blending ratio on the physicochemical properties of safflower oil methyl ester-safflower oil, safflower oil methyl ester-diesel and safflower oil-diesel. Renewable Energy, 95, 233-247. Eryilmaz, T., & Yesilyurt, M. K. (2015). Comparative analysis of fuel properties of biodiesels derived from sunflower oil, waste sunflower oil and neutralized waste sunflower oil. Fresenius Environmental Bulletin, 24(10), 3197-3204. Eryilmaz, T., Yesilyurt, M. K., Taner, A., & Celik, S. (2015). Prediction of Kinematic Viscosities of Biodiesels Derived from Edible and Non-edible Vegetable Oils by Using Artificial Neural Networks. Arabian Journal for Science & Engineering (Springer Science & Business Media BV), 40(12). Gokdogan, O., Eryilmaz, T., & Yesilyurt, M. K. (2015). Thermophysical properties of castor oil (Ricinus communis L.) bıodıesel and its blends. CT&F-Ciencia, Tecnología y Futuro, 6(1), 95-128. Eryilmaz, T., Yesilyurt, M. K., & Gokdogan, O. (2015). Prediction of density of waste cooking oil biodiesel using artificial neural networks. Fresenius Environmental Bulletin, 24(5a), 1862-1870. Eryilmaz, T., & Yesilyurt, M. K. (2015). Investigation of the effect of blending ratio and temperature on the kinematic viscosity and specific gravity of waste cooking oil biodiesel. Fresenius Environmental Bulletin, 24(4b), 1523-1529. Eryilmaz, T., & Yesilyurt, M. K. (2015). Investigation of temperature-dependent kinematic viscosity variations of neutralized waste cooking oil biodiesel and its blends. Fresenius Environmental Bulletin, 24(3b), 1016-1024. 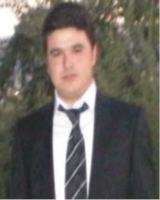 Eryilmaz, T., Yesilyurt, M. K., Yumak, H., Arslan, M., & Sahin, S. (2014). Determination of the fuel properties of cottonseed oil methyl ester and its blends with diesel fuel. International Journal of Automotive Engineering and Technologies, 3(2), 79-90. Eryılmaz, T., Cesur, C., Yeşilyurt, M. K., & Aydın, E. (2014). Fuel Properties of Biodiesel Produced from Balci Variety Oil of Safflower (Carthamus tinctorious L.). International Journal of Automotive Engineering and Technologies, 3(2), 74-78. Savci, S., Eryilmaz, T., & Yesilyurt, M. K. (2014). The Effects of Biodiesel on the Environment. 2nd International Conference on Environmental Science and Technology (ICOEST 2014), 14-17 May, Side, Antalya. (Sözlü Sunum).